We have a range of products which can be used to recover the loss of moisture usually produced in feed factories. Feed factories usually receive cereals and other raw materials with about 12% of moisture, but subsequently some of this is lost in the process of grinding. 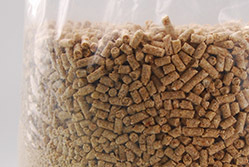 Furthermore, if feed is pelletized, the loss increases in the coolers. In summer, moisture loss increases significantly because the air in the coolers is warmer and drier. As a result, the moisture in the feed could reach levels of 9% or less. 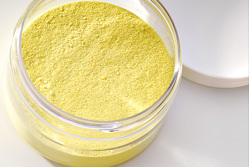 the production of higher quantities of powder. the imbalances between the theoretical and real energy of the feed etc. Proper use of moisture retrievers help reduce wastage, improve factory performance and eliminate problems in preserving feed.